There was no Pin Up art in the Soviet times. 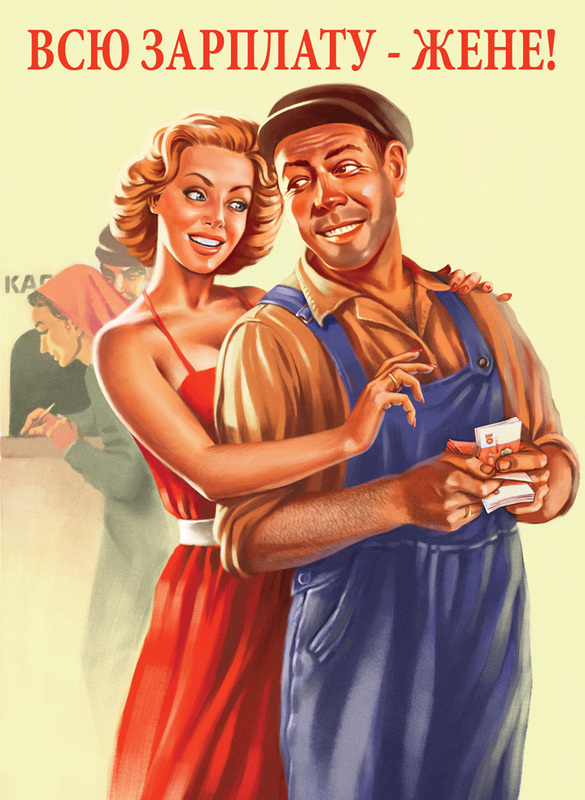 Due to the devastation of World War II, Russian women in the ’40s and ’50s were taught to be tough and work hard. 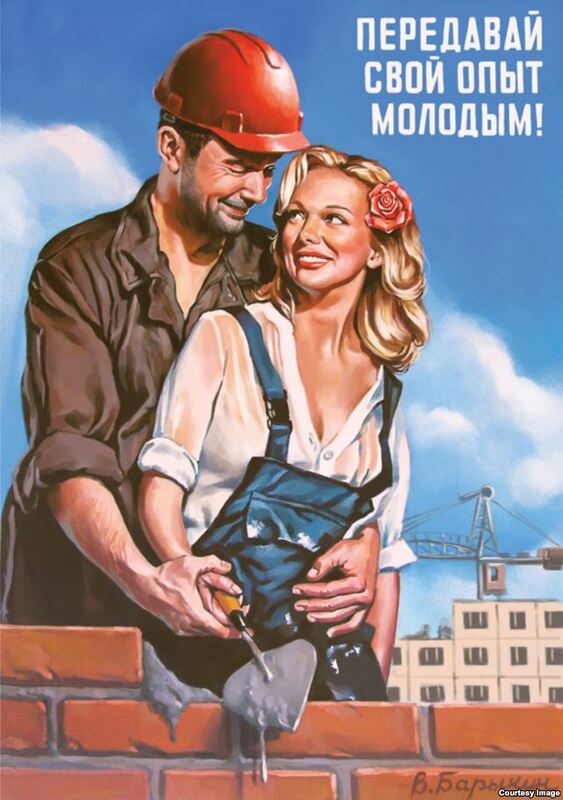 Russians never had the chance to enjoy the happy pin-up times of America’s post-war period. The Russian illustrator Valery Barykin successfully compiles vintage American Pin Up art with Soviet propaganda, filling the missing niche. Share your experiences with the youth! Do not distract the driver during heavy traffic! All of the salary goes to wife! Young construction chief in the workplace! Worker of the communal services! Provide the best quality of service in your home! To the new workplace victories!